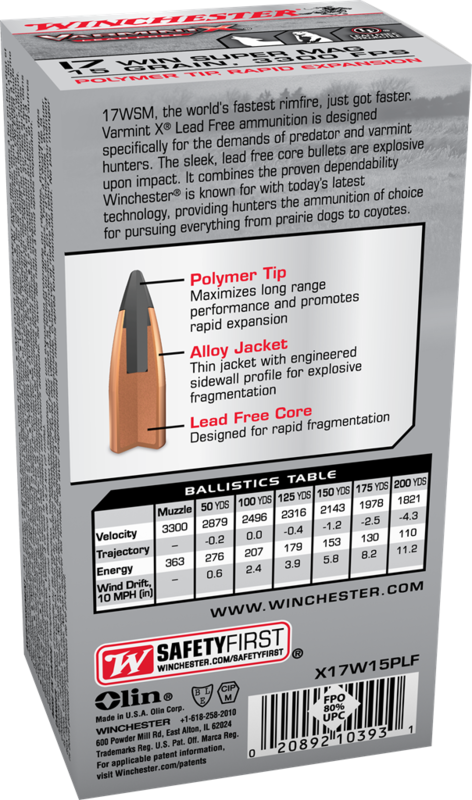 17WSM, the world's fastest rimfire, just got faster. 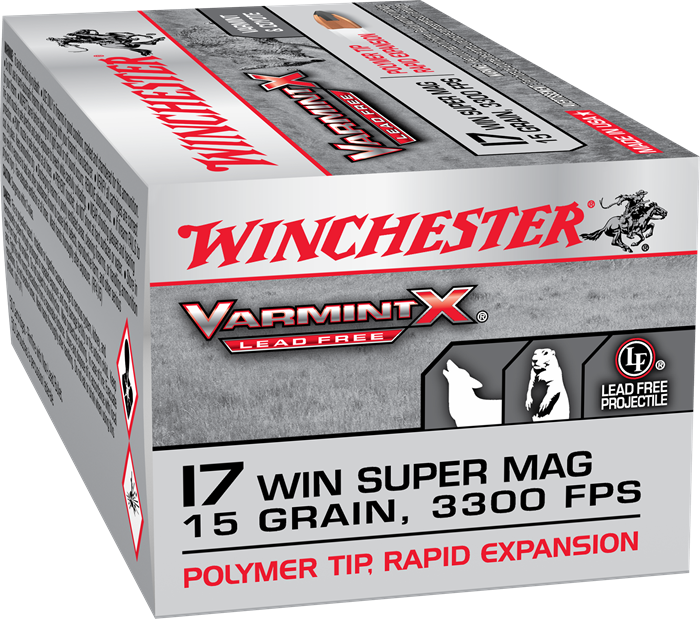 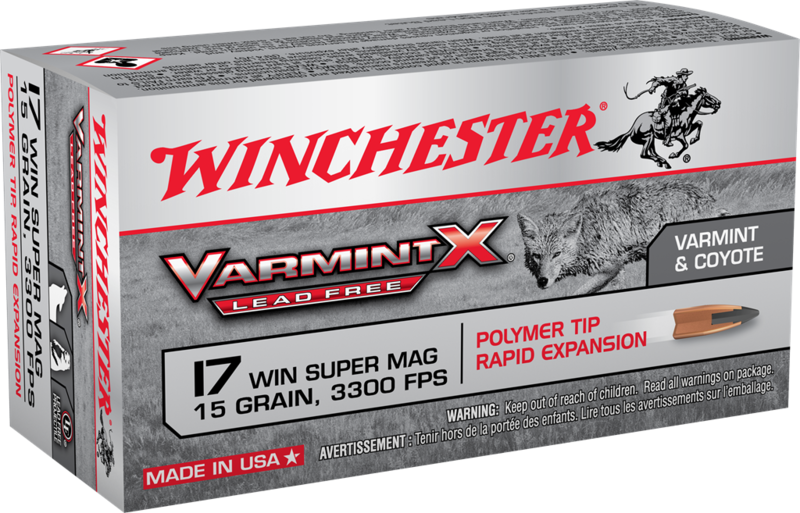 Varmint XP Lead Free ammunition is designed specifically for the demands of predator and varmint hunters. The sleek, lead free core bullets are explosive upon impact. 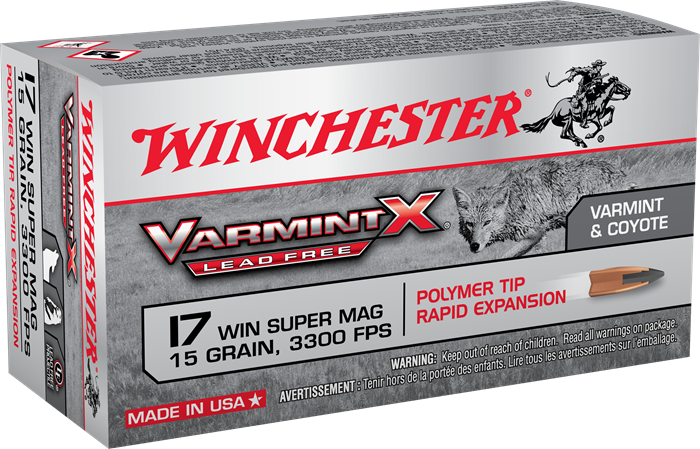 It combines the proven dependability Winchester is known for with today's latest technology, providing hunters the ammunition of choice for pursuing everything from prairie dogs to coyotes.